district color: happy national doughnut day! 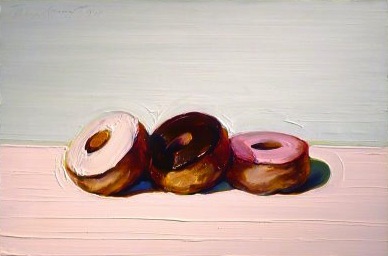 Happy National Doughnut Day from me and Thiebaud! 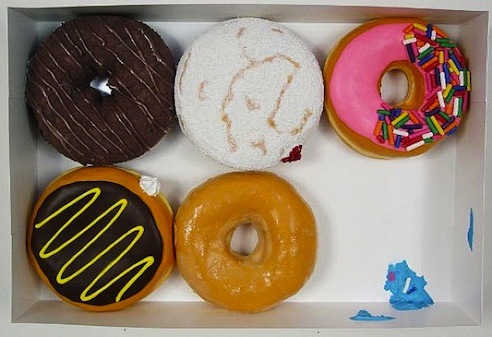 Who else was pleasantly surprised to learn that June 7th is National Doughnut day?? I wish I had known to pick up a tasty treat on my way to work this morning. Back in New York one of my favorite spots for fried-and-doughy-decadence was Doughnut Plant... still looking to find a replacement here in D.C. (suggestions welcome!) In the meantime... some more doughnut inspired art to help you celebrate this most auspicious day. 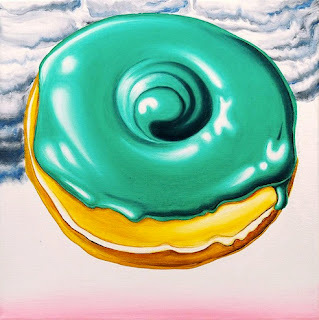 Kenny Scharf, St. Paddys Day Donut with Approaching Storm, 2011. 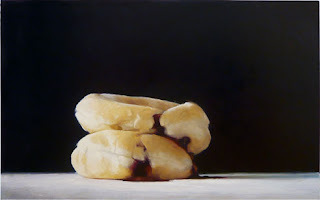 Oil on linen, courtesy Paul Kasmin Gallery. Peter Anton, Donut Selection, 2012. 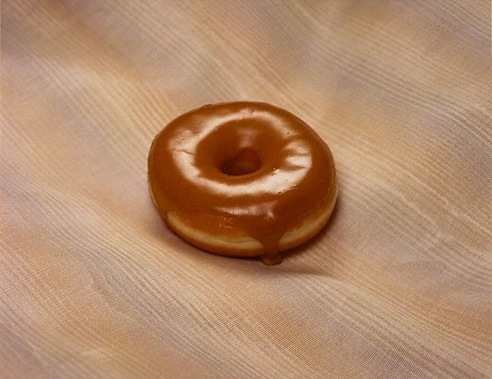 Jo Ann Callis, Untitled (Doughnut), #12, 1993.